It’s the new year, which means many of you have kicked off 2018 with a good old-fashioned spring cleaning. Your floors are gleaming, your windows are crystal clear, and your closet is perfectly organized. However, once all the debris is cleared away, chances are you’re going to be left with a pile of cheap T-shirts you no longer wear. If there is one thing many of us never have enough of, it’s either cute bags or storage. This will give you the option of having both. Using your old or cheap t-shirts, you can easily create a no-sew tote that is both fashionable and useful with nothing but some scissors, time and creativity. For this DIY, remember the thicker the t-shirt, the stronger the tote. If you plan on using this to store things like small free-weights, it would be a good idea to find the thickest material you have or to double layer shirts for additional support. This option is also great for a thoughtful, custom gift for a birthday or Christmas. Simply make a list of everyone’s favorite colors and purchase wholesale bulk t shirts. You can even make a pink or red one for Valentine’s Day! This will give you a range of colors or color combinations to use for your totes. 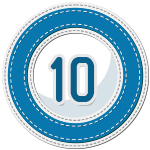 To make each one even more special, add initials or a pattern with gems, grommets or rhinestones as well. Headbands are one of the most versatile creations ever invented. They can dress any outfit up, make a bad hair day turn fabulous, and keep your hair out of your face for those ever-important self-care spa days. 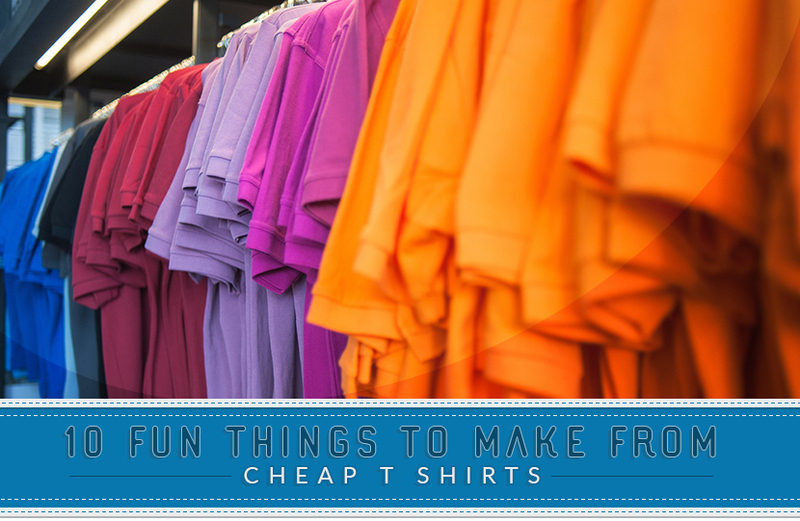 Luckily, they are also super easy to make, and t-shirts are the perfect material for them. To make a headband, you first need to make t-shirt yarn. While this may sound complex, it’s actually very simple. Cut your shirt into strips that are 3/4 of an inch to one inch in width, then tug on them until they turn in on themselves. 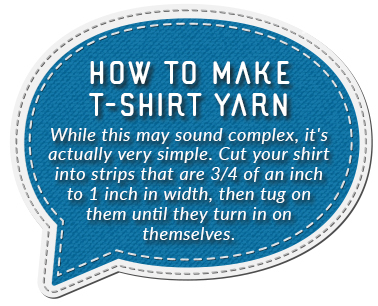 Once you’ve got your t-shirt yarn, you can twist or braid several pieces together to create the width and style of band you’d like. If you need extra length, just sew two strips together. Add glitter, beads or ribbon, depending on whether you are aiming for a dressier or more casual headpiece. For those of you who love something that is not only fashionable but interesting, you can create a knotted headband as well. There is nothing better than reliving fond memories — except for maybe enjoying them via a soft, snuggly blanket. You may have t-shirts you’ve been keeping for sentimental reasons. These are perfect for creating a t-shirt quilt. This will allow you to preserve the shirts and enjoy reliving your recollections while hunkered down in a cuddly, cozy blanket. If you love the idea of a t-shirt quilt, but don’t have any sentimental shirts, you can easily create blankets using a theme. Use old concert t-shirts, sports t-shirts, school t-shirts or make a nerdy SuperWhoLock version with myriad Harry Potter, Doctor Who or Sherlock shirts you’ve collected over the years. When it comes to a t-shirt quilt, you are only limited by your imagination and the number of shirts you have, of course. If you begin to make a blanket for yourself or as a present for someone else and are running low on shirts, a purchase of bulk blank t shirts can help to finish your piece. 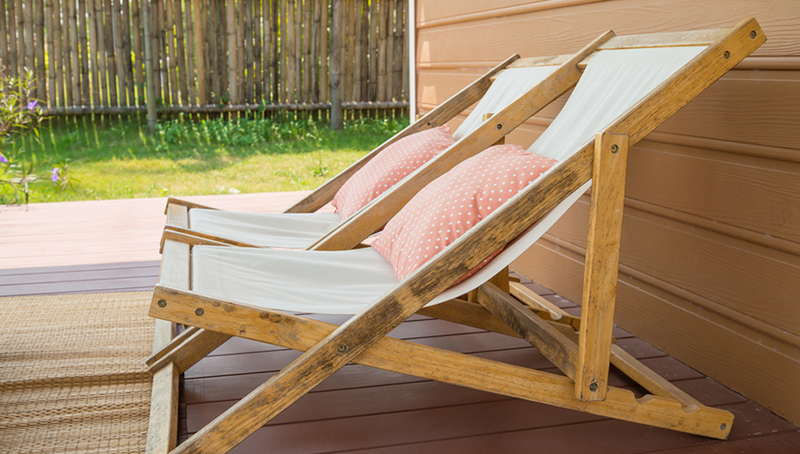 Lounging on a deck, enjoying summer sunshine, a good book and a tall glass of ice tea is one of the best ways to spend time off this summer. What could make it even better? A cushy, fluffy pillow designed by you to support your head. Even if you’re not a fan of the outdoors, you can use DIY t-shirt pillows for accent pieces in your room or office to give it the perfect dash of whimsy. 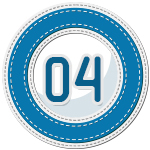 While the size of your t-shirt will determine the size of the pillow, standard-sized pillows are 14 or 16 inches. For smaller shirts, you can use two shirts to make a double-sided pillow that you can flip to suit your mood. It’s also a great idea to use an envelope closure for the pillow. This will make the cover easily removable so you can toss it in the wash without fuss. 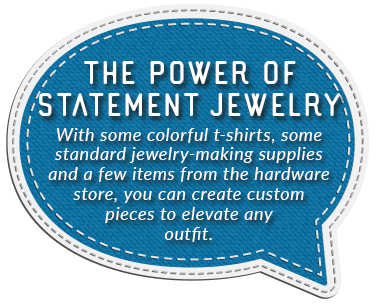 Fashion savvy individuals already know the power of statement jewelry. Whether you love bracelets, earrings or necklaces, making them yourself is a breeze. With some colorful t-shirts, some standard jewelry-making supplies and a few items from the hardware store, you can create custom pieces to elevate any outfit. The key to making these eye-catching pieces is to focus on bright colors, bold metals or a mixture of the two. Copper, silver and gold are always great metals for jewelry. They can easily coordinate, plus they have an inner glow that radiates perfectly against colorful backdrops. To achieve the perfect look, head to your local hardware store and pick up some tubing, discs and thin chains in the metal finish of your preference. Once you have selected your metal, you can let your creativity take you away. Using t-shirt yarn, you can make a unique fringe-style necklace by knotting the t-shirt around a thin chain. You can also string beads or tubing along varying lengths of t-shirt yarn for a more bohemian, layered vibe. For a chunkier piece, take three or four different coordinating colors and cut one-inch wide strips out of each. Braid them together, then weave them in and out of metal rings for a spectacular effect. Whether being used to highlight your figure, hold up your britches or to pull a last-minute outfit together, belts are everywhere. Luckily, rather than having to spend your hard-earned money on them, you can easily make some DIY braided belts with your old t-shirts or cheap t shirts. Not only are these extra comfortable — thanks to the soft fabric and little bit of stretch — but they are also stunning. To make a belt, you will need two D rings, some scissors, a needle and thread or a sewing machine, and a t-shirt or two that suit your wardrobe. The thinner you cut your strips, the thinner your belt is going to be. For an average width that will fit through belt loops, you will want to cut your strips about 3.5 inches wide. Three and four string braids are the most common, but you can also do a five or six string if you would like a thicker belt with a more complex pattern. Slashed, infinity, circle and fringed are just a few of the amazing style options you have regarding scarves. With the ability to give any outfit an instantly polished aura, scarves are a wardrobe essential no matter the season or the weather. Add in the option for thicker materials in cooler months to keep you warm, and it’s no wonder scarves have become a fashion staple worldwide. To obtain the ultimate collection of enviable scarves, all you need to do is start with a variety of super soft, supple, stretchy T-shirts. For those older T-shirts that are two steps from the rag pile, a slasher scarf is the perfect alternative. Slit the sides of your t-shirt, then cut off the arms, so you are left with a long rectangular piece of fabric. Fold it accordion-style, and work with the holes already there, adding new ones around it until you’ve created an interesting pattern. Once that is finished, you can either tug the shirt so the edges roll under, or sew a small hem, and your scarf is complete. For those of you who are skilled at sewing, circle and infinity scarves will be a breeze. 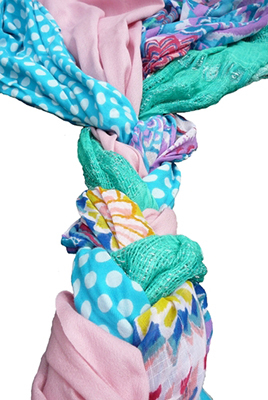 To create an enviable infinity scarf, choose a t-shirt with a fun pattern, like polka dots or an abstract design. 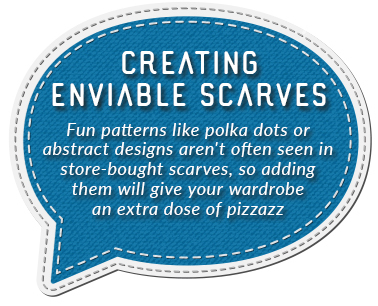 These patterns aren’t often seen in store-bought scarves, so adding them will give your wardrobe an extra dose of pizzazz that will have others asking where you purchased your unique scarf. Color blocked scarves are another fabulous option for those who are nimble with a needle and thread. The key to the perfect overall effect is selecting the right number of colors. Contrasting colors are a great way to transform a run-of-the-mill scarf into a striking wearable work of art. Aiming for three- or four-color variations in your scarf is essential. If you wish to make the pattern even more outstanding, you can also opt for variations in thickness for each piece. Making our homes fashionable yet functional is something we all strive for. We spend hours upon hours watching HGTV, keeping our eyes peeled for fantastic items we can add to the décor in our own homes. 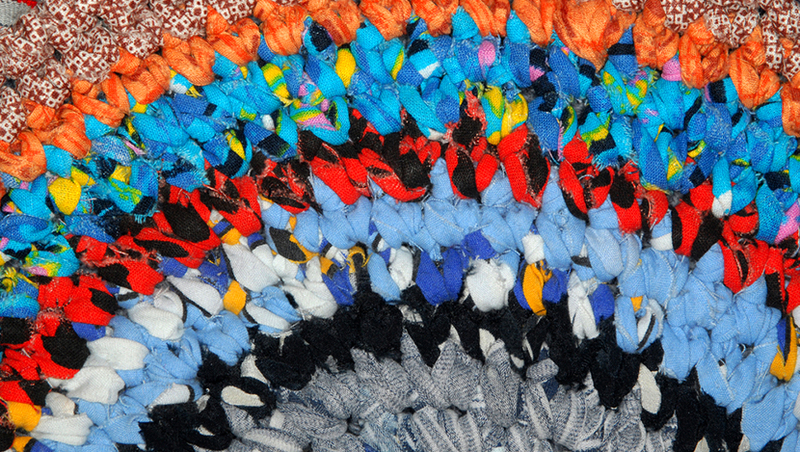 One of the best ways to make your home stand out is by creating a one-of-a-kind T-shirt rug. These are quirky, fun and most importantly, ridiculously comfortable to stand on. The t-shirts create a lovely cushion that is guaranteed to make your feet happy. In addition to being great accent pieces for a variety of rooms, T-shirt rugs also make great places for your pets to catch a quick nap. The best way to make sure your rug is balanced, even and the correct size is to purchase a rug template from your local craft store. After you have your template, slit your t-shirts up the side and cut off the sleeves, collars and seams so you are left with a long rectangle of fabric. Cut strips from your rectangle that are 1-2 inches in width, depending on how thick you would like your tassels to be. After this, just use a latch hook to knot your fabric around the template, and you’ll have an adorable rug in no time. Make sure you have a large supply of t-shirts in your chosen color scheme because on average you need around 15-20 T-shirts to make a 3-foot-by-5-foot rug. Speaking of home décor, we would be remiss if we didn’t also take care of those great coffee and end tables that you oh-so-carefully selected for your living areas. For these pieces, it’s essential you protect the surfaces from water rings. Many people will go out and spend quite a bit of money finding the perfect kitschy coasters, but if you’ve got some leftover T-shirts, you already have all you need to make some of your very own. Not only will these coasters look fabulous, but they are also incredibly simple to make. Select your color palette, find T-shirts that will suit your scheme and grab some scissors. Cut your T-shirts into strips, braid them, give them a sweet twist and a twirl, finish them off with a stitch or some superglue, and that’s it. One thing we all love about T-shirts is how comfortable they are to wear every day. This is the reason so many of us will wear a T-shirt until it is almost ready to fall apart. Combining an old T-shirt or two into an awesome fashion-forward T-shirt dress is a brilliant way to prolong the life of those shirts. Not only is this look super cute and trendy, but it is also ridiculously easy. Just find a spaghetti strap tank top you no longer wear, some hot glue, scissors, and a few t-shirts with eye-catching patterns, and you’re good to go. Love this dress, but don’t have any old T-shirts? Buy some cheap T-shirts for the same great effect. T-shirts are one of the most adaptable items you can upcycle. They can easily be transformed into something that is primarily for decoration or something that is also functional. With the wide variety in thicknesses, colors and patterns, they are a perfect inexpensive option to use for everything from throw pillows to book covers. T-shirt creations make for fabulous gifts, no matter the holiday. So next time you have a few extra T-shirts, why not create something wonderful?